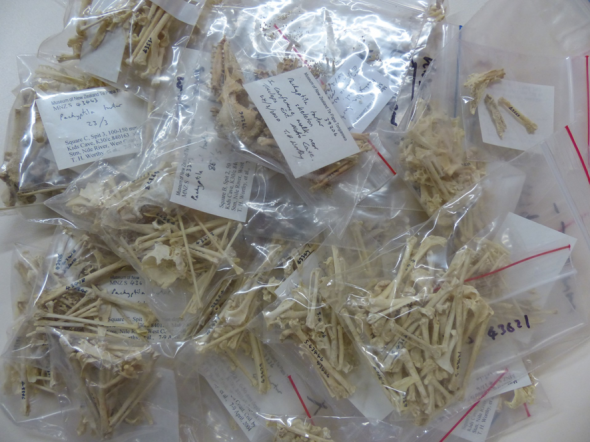 Today’s blog was written by Alan Tennyson, a Curator of Vertebrates at Te Papa. Started his science career as schoolboy picking up dead prions off Waikanae Beach. 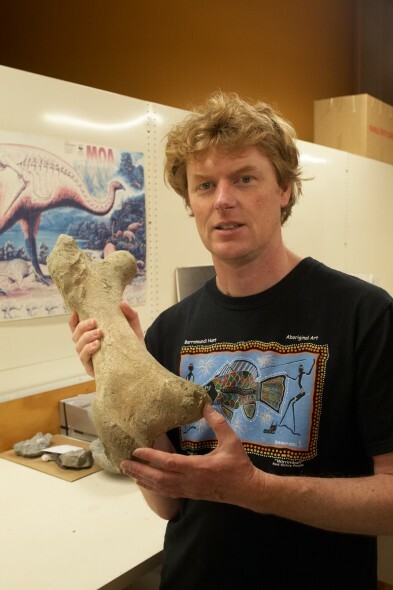 He now specialises in paleontology and seabird biology and will be one of the starring scientists later today! Prions – when and where did they evolve? When and where did prions originate and when did the modern species evolve? 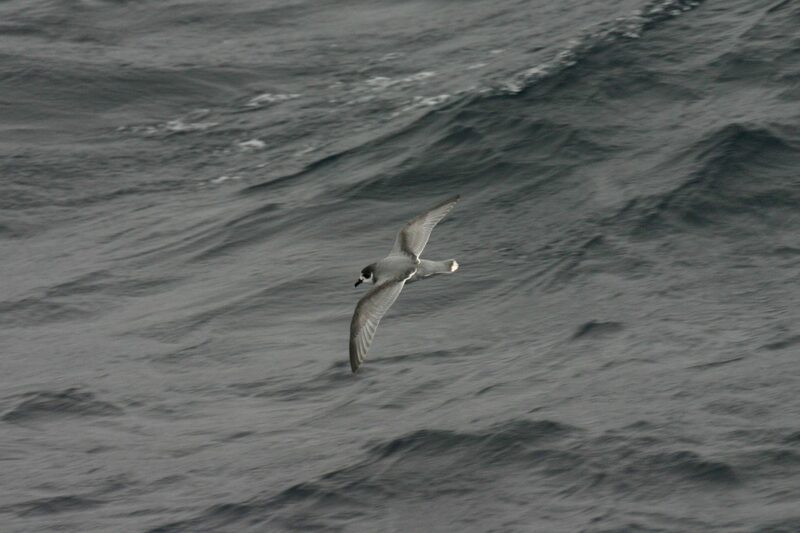 Unfortunately the short answer is that we know very little about the origin of these little seabirds that are now perhaps the most abundant birds in the southern oceans. Prions are a form of petrel – also called ‘tubenoses’ or ‘Procellariiformes’ – a group which includes the albatrosses, fulmars, shearwaters, storm petrels and diving petrels. One species – the Blue Petrel – has long been considered to be the nearest living relative of the prions. It is also a widespread species in the southern oceans today and it appears to be a morphological intermediate between prions and the gadfly petrels (Pterodroma species). Studies using ‘molecular clocks’ – which estimate when species split from their nearest relatives – have produced conflicting results, with the origin of prions being as old as 13.7 million years ago or as young as 3.8 million years ago. Early biogeographers, such as New Zealand’s Charles Fleming, suggested that prions diversified into their current forms during the last 5 million years and modern molecular studies generally support this idea. Fossils tell us very little about the origins of the prions. The oldest fossil prions are 4-5 million years old from South Africa. These include at least three species, including a prion much larger than any living form. 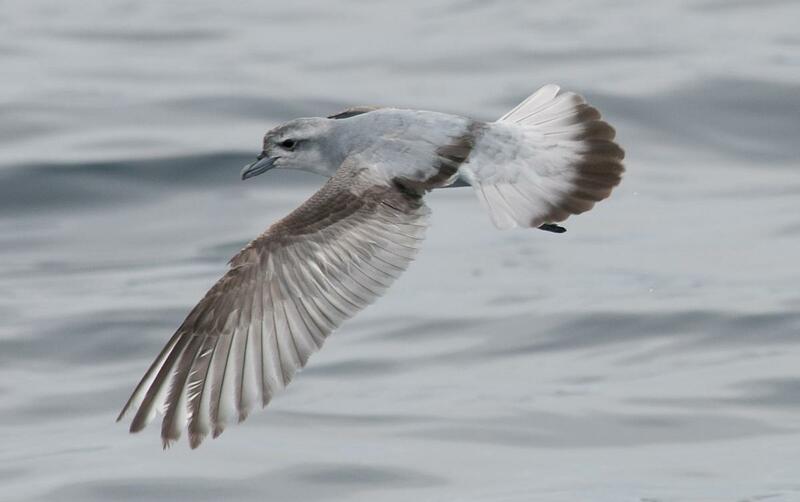 There are no fossils of Blue Petrels that help us understand their origins or any intermediate fossil forms to show any direct links with them and prions. The fossils do however suggest that prions were already in existence before some of the molecular work suggests. Contrasting with this poor ‘early’ fossil record is a rich more recent fossil record from the last few thousand years in some places. Such fossils are too young to inform us about the evolutionary history of prions but they do show what impacts humans have had on some populations. Thousands of bones of Salvin’s Prion (subspecies P. s. macgillivrayi) collected from the Indian Ocean’s Amsterdam Island indicate that this bird used to be abundant there yet only a few hundred survive today. Similarly in New Zealand, fossils of Fairy Prions are abundant on the South Island and on offshore islands like Chatham and Pitt Islands, yet (apart from a few on Otago cliffs) none survive on these islands today. These declines and disappearances can be explained by human-wrought changes – specifically the arrival of predators like rats and cats. So although no prion species are known to have become extinct as a result of humans, many colonies have been lost. In the past prions would have been even more abundant than they are today.